← Project Happily Ever After: Is It Possible? This entry was posted in Communication, Family, Love, Marriage, Marriage Research, Relationships and tagged best gifts for annivesary, gift ideas, gift no nos, gifts that show love, gifts to avoid for spouse, Valentine's gifts, wife birthday gifts. Bookmark the permalink. Along the same lines, I’ve comitted to never buy a gift for my wife that has a plug. If she insists that she REALLY wants something that plugs in, I buy it for her, but not as a gift. I buy it just because she wants it. 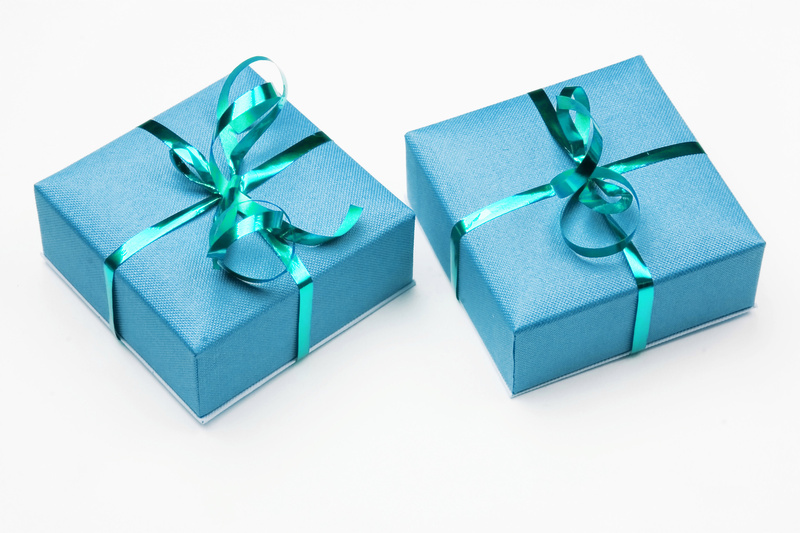 What are your suggestions for gifts for husbands? I once read a suggestion of gourmet steaks and while I think the idea has merit – I’m no gourmet cook. What is thoughtful and meaningful to men? A great post, and one I will pass on. That said, it’s and my chance to play the ever dreaded “not in my marriage” card. I dare say most of the “great gifts” in my wife’s mind are on your don’t give list, with appliances being top of her list. On the other side, jewelry and pampering would be a total wash.
Of course I know her, and know she is the exception on this, so I’m doing what is best for us. You make a good point, Paul. You must first know your spouse before deciding what they would like best. But enough women have complained about these “no no” gifts that it’s a useful list, especially for newly married guys. Yeah, this is a “know your wife” thing. I would love a gym membership or anything to do with working out, but my husband knows that health and fitness is a top priority for me. Jewelry is OK but I’m very picky!! Flowers I don’t like but my husband loves so our thing is that he either just pick some or buy something that’s living…but then he has to take care of it, LOL!!! One of the first years of our marriage, I got a teddy bear and some lotion for my Christmas gift. I do not enjoy stuffed animals all that much, and lotion is quite a scent-specific thing for me. I am happy to say he hasn’t repeated this, but it was most definitely a let-down! My husband got me a couple of aquarium fish for our first Valentine’s Day together….this was after I put alot of time and effort into his gift which was very romantic….also a birthday gift he got me before we were married – a fishing pole…he enjoys fishing but I’m not really crazy about it – guys – just because you have an interest doesn’t mean we have to share the same interest and please don’t try to force us to by giving us a gift you would like to receive. It is hard to show gratitude and appreciation for a gift you hate when all you feel like doing is crying because you are so disappointed and feel like throwing the gift back in his face… I think we put so much anticipation and expectation into gift giving and receiving and when our partner’s expectations don’t match ours, we have set ourselves up for so much disappointment and the partner doesn’t understand and feels hurt by our less than enthusiastic response because they may see nothing wrong with the gift they selected. Gift-giving is a slippery slope that no one can seem to navigate very well. I had to kind of chuckle at the gas card! You’re right, our expectations are probably too high for one another, and it can be frustrating. Putting the effort into a less-generic gift, like the fish you wanted, shows they care. Thanks for the comments. I think that you’re idea of the free gift – love letter is a really special one. you don’t need to spend lots to make a big impression – romance is thinking, not spending. That is what I have been trying to tell my significant other that the best gift could be something that costs only $5 but if it is meaningful to me or our relationship or reminds me of him then it will mean the world to me – i like how you put that about romance is thinking not spending. It shows you know your partner and are in tune with their likes, dislikes and how they think and see things. Agree with the above commentor about writing a love letter being a fantastic idea, you don’t need to spend a lot of money to show your love, you just need to make the effort. I read a lot of books, but often use a clean tissue or any odd thing as a bookmark. I asked hubby to make me a bookmark – I patiently explained it wouldnt matter one whit what it looked like – if he made it, it would be the most treasured item I could own. He vehemently refused to do it. Would not even try… he said he will never ever make me a bookmark and that I was silly to even ask. I waited nearly a year in hopes he would even BUY me one, ANYTHING as a guesture. My best friend and her daughter made me one when I complained to her about hubbys reaction, and I love it – but I cant look at it without being reminded that my hubby isnt even comfortable enough with me to give something as basic as a bookmark a go. Come on fellas, its the TRYING that counts too! It could look AWFUL to anyone else, but it would look AMAZING to me. Put yourself out there, take a risk and give it a go. It means more than anything else. There is a rainbow anniversary sundial (a cool clock that uses the sun to tell time) that you can find online, we have one in our house and it is awesome. It sits on the window sill in our family room and makes really great rainbows in the room when the sun shines. My husband had it handmade just for me with a date line for our anniversary day that the time shadow follows every year on our special day. We have had ours for quite some time, and it makes a show every year on our anniversary…so it is actually a gift that does something special for the couple every year on their anniversary for as long as they are together, and beyond!